I personally love reading about cinematic style on blogs like Clothes on Film or Capture The Castle. My last post about the summer capsule wardrobe consisting solely of simple black pieces, reminded me of the film Persona, by Ingmar Bergman. 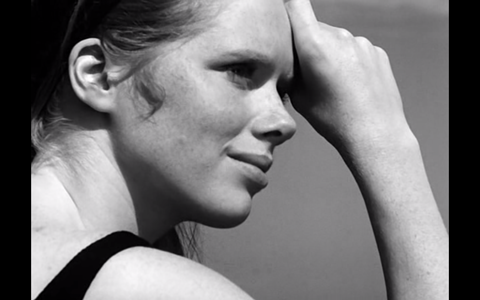 The film’s stark minimalist style perfectly compliments it’s existential themes, with Liv Ullmann and Bibi Andersson as two blondes protagonists on what initially looks like the idyllic holiday by the sea. Together, they’re almost like the alternative Scandinavian versions of Brigitte Bardot (Ullmann) and Jean Seberg (Andersson), less whimsical and more somber, but not any less stylish and inspirational. This entry was posted in Inspiration and tagged bibi andersson, ingmar bergman, liv ullmann, persona, s/s 2012. Bookmark the permalink.